On 6 October 1941, the SS Thistlegorm reached her final destination beneath the surface of the Red Sea. 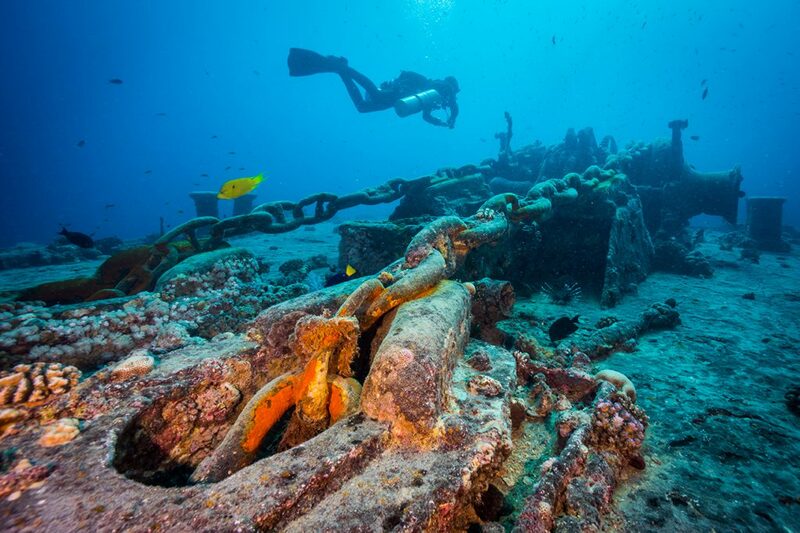 Nearly 80 years later, this iconic shipwreck remains one of the world’s most renowned dives. Just 18 months prior to sinking, the 4,898 tonne, 128m-long steamship was built in Sunderland, England, by Joseph Thompson & Son. Like all ships owned by Albyn Line, she was named after Scotland’s national flower and a Gaelic word; Thistlegorm means ‘Blue Thistle’ — a bittersweet signature considering her ocean-bound fate. In June 1941, following merchant trips to the US, Argentina, and West Indies, the Thistlegorm was fitted with a 120mm anti-aircraft gun and a heavy-calibre machine gun, and drafted to re-supply the British 8th Army amidst WWII conflicts. Departing Glasgow, Scotland, the crew headed for Alexandria, Egypt, detouring around South Africa’s coast in a 16-ship convoy to avoid enemies in the Mediterranean. Twelve thousand miles later, they stopped at Sha’ab Ali, awaiting clearance of the Suez Canal after a tanker struck a mine. Two weeks into anchorage, two German planes — following a failed mission to locate a troop carrier — dropped bombs into Hold 4 at 1.30am, creating a chain reaction with ammunition cargo and tearing the Thistlegorm apart. She sank in less than ten minutes. HMS Carlisle, moored alongside, was able to rescue all but nine crew. The Captain was awarded an OBE, one sailor received medals for saving another, and in the aftermath of the tragedy, the wreck became a designated war grave. Nearly 15 years later, the Thistlegorm was rediscovered by Jacques Cousteau, a story documented in The Living Sea, The Silent World, and National Geographic (1956). 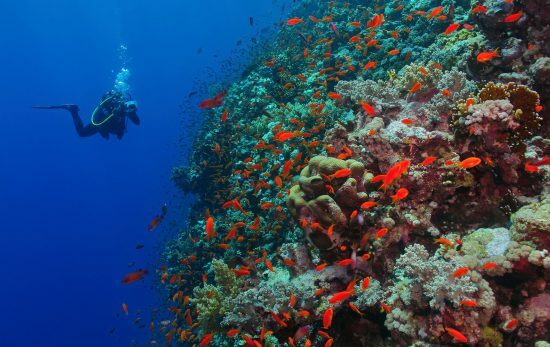 It wasn’t until the 1990s and Sharm-el-Sheikh’s development that the Thistlegorm was promoted from a local secret to one of the world’s most famous dives. Today, the wreck is a haven for exploration and wartime heritage. Alongside the prop and guns, the attraction is her intact cargo, which includes BSA and Norton motorcycles, Bedford, Morris and Ford trucks, UC-MkII tanks, rifles, aircraft and radio parts, wellington boots, plentiful munitions, and two steam locomotives that were blasted to both sides of the wreck. And then there’s the marine life, like tuna, barracuda, lionfish, morays, sweetlips, lionfish, batfish, and stonefish. Look for crocodilefish on the decks, and hawksbill turtles in the blue. The bow and midships are upright, while the stern is detached and twisted 90 degrees; The Thistlegorm Project offers impressive 3D maps and tours. 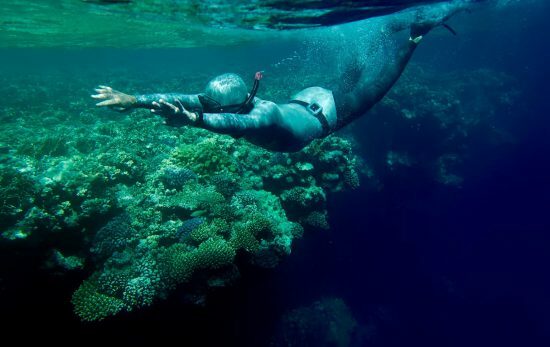 It’s more than one dive’s worth, and the best plan is an ‘orientation’ dive around the outside, then a second dive to explore the holds and cargo. 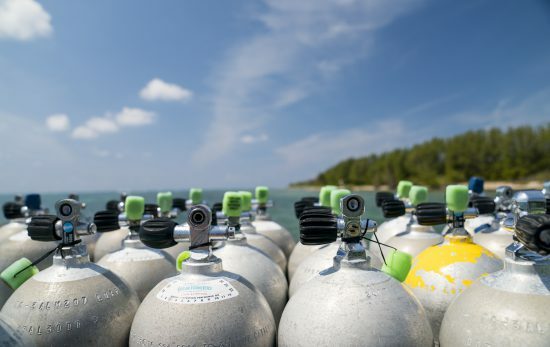 Currents can be strong, and excellent buoyancy is essential, so dive operators usually ask a minimum of PADI Advanced Open Water and 20+ logged dives. PADI Enriched Air Nitrox is an optional but useful specialty to have. 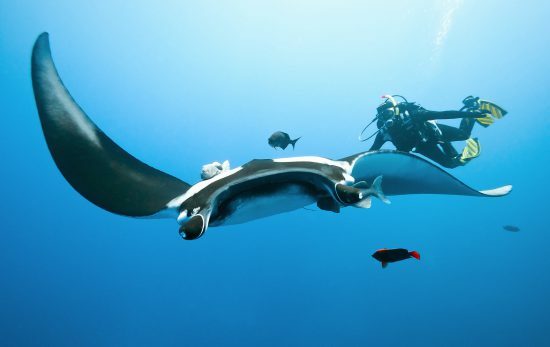 A staple stop for liveaboards, and only 3-4 hours away for day trips, the Thistlegorm sees around 200 divers every day. But popularity has been her downfall, with damage from poor buoyancy, looting, mooring lines, and divers’ bubbles all contributing to rapid deterioration. Fortunately, interventions from HEPCA, CDWS, Save SS Thistlegorm and others are encouraging wreck conservation, and the Thistlegorm’s history could well stay preserved for another 80 years. 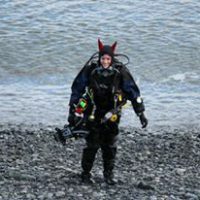 Want to dive the SS Thistlegorm? 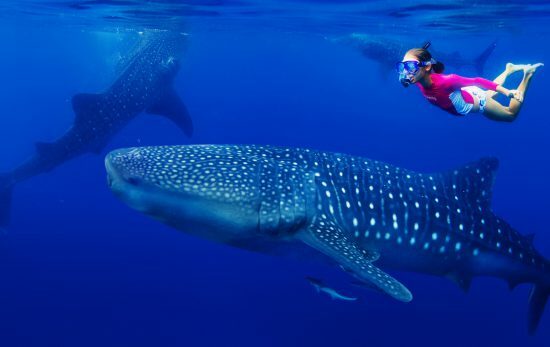 Visit PADI Travel to book a Red Sea itinerary.